The Canyon Classic was especially created for the rigors of canyoneering and caving. 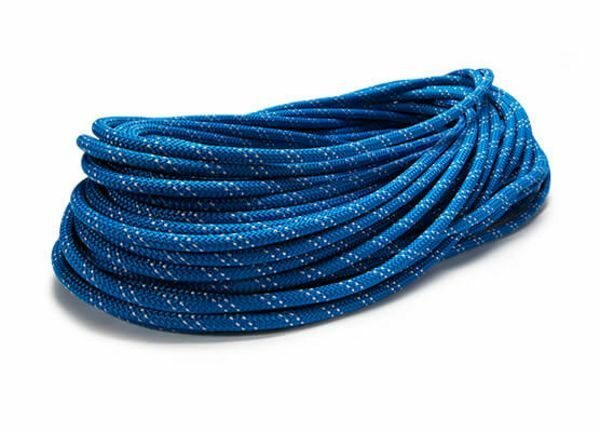 This abrasion resistant canyoneering rope features an Endura DRY treated nylon core and highly UV resistant polyester sheath, which makes it perfect for the use in, wet environments. The MAXIM Canyon Classic canyoneering rope was created especially for the harsh conditions of canyoneering and caving. The construction is loosely based on KM III, our industry leading static rope, but was modified specifically for canyoneering and caving. With its Endura DRY treated nylon core and the highly abrasion resistant and UV resistant polyester sheath, it defines the sweet spot between cost and performance. The polyester sheath protects the core from water and dirt ingress and the Endura DRY treatment of the core caters for better water resistance to keep the rope soft and flexible. We were able to avoid the use of high tech fibers in the design of this rope and focused on the use of the highest quality nylon and polyester available. This allows us to deliver the performance you expect in sharp edge, wet and dirty environments, without adding the cost you thought you would see. Canyon Classic is the perfect rope for your wildest explorations in canyons and caves.